A cutting-edge new sports complex is due to be completed in October at the University of the West of England (UWE Bristol), following a £4.5 million investment. The facility at Hillside Gardens will provide pitches for football, rugby, lacrosse, American football and Ultimate frisbee. 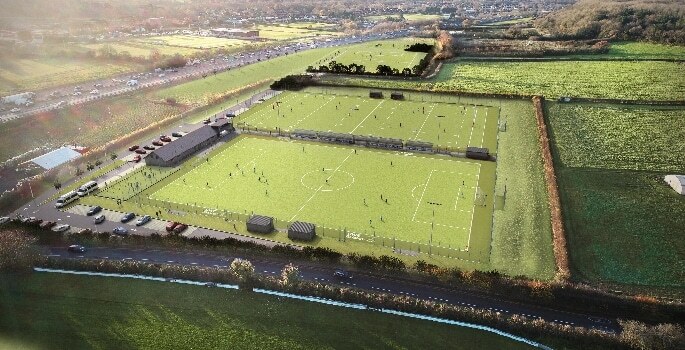 The development will include two floodlit artificial pitches meeting FIFA and World Rugby standards, a grass football pitch, undercover seating for spectators, pitch-side dugouts, changing rooms and a car park. The facility will be available for businesses and organisations in the local community to hire.